Famed super models walking the ramp dressed in traditional attire, designers putting their best outfits, lively audience, glittering light and rhythmic music all but it was an awaited evening at Hotel Imphal Auditorium. 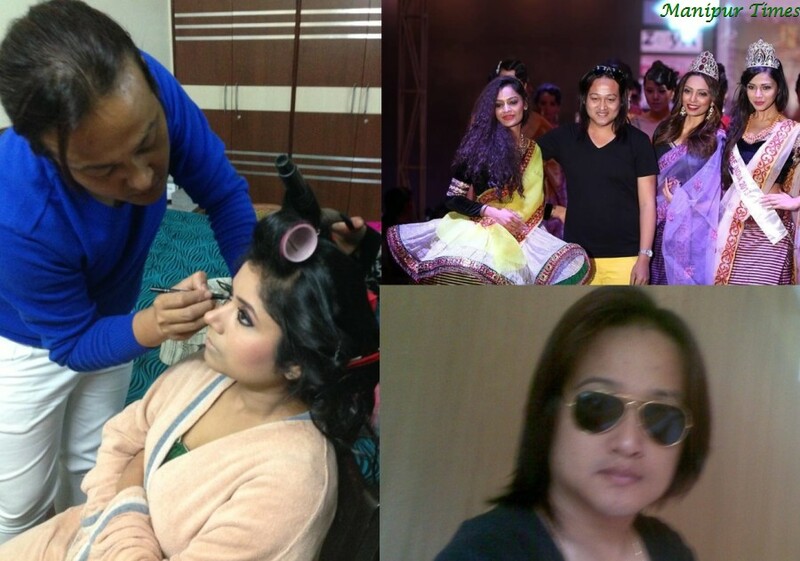 Robert Naorem, Bangalore based popular stylist and beautician along with his core team put up the State’s fast trend fashion culture at the National platform. On the sizzling evening, renowned super model who have performed in famous show like “Lakme Fashion Week” along with noted models of the State dazzled the show winning hearts of the audience. Speaking on the side-line of the event, Robert stated that the main concept of the show was to create an impact and changes where State’s models and even designers would get an opportunity to work with those professional artistes who have come down from fashion’s hub places. He has putted his best efforts with the believe that the show would provide benefit to both the well-furnished visited team and State’s counterparts as the event showcased different blended fashion’s culture and experience. In arranging the event, he had also face hardships in bringing all those artistes from outside the State as there were no sponsors for the show. Since, he could not find any competent sponsors; most of the expenses were made from his own pocket. According to him, the approximate cost of the show is about Rs 11-12 lakhs. Despite of all the odds, Robert have able to garner public’s confidence as the show ended on a positive note. On being queried about the outcome of the event, he said, “It is lucky for all of us here to have people like Achala Sachdev, choreographer of famous actress Priyanka Chopra and MS Shreedher, choreographer of the much-acclaim Blender Pride’s Fashion Week. I am sure that models and designers of the State have learnt many things from those entire stalwart’s presentation and experience. These people have given a professional touch to the show. Moreover, there is also interchange of fashion’s essence and culture in the show, as they are also going to take away our traditional fashion taste along with them. On the whole, I have a strong feeling that we are able to vindicate the show’s motive which is -fashion, traditional redefine into fashion”. Giving more importance of the show, Robert further pointed out that the event also carry message of unity and peace as artistes along with designers from different part of the State have come down to participate in the gala event showing the unique fashion’s fusion of the State. 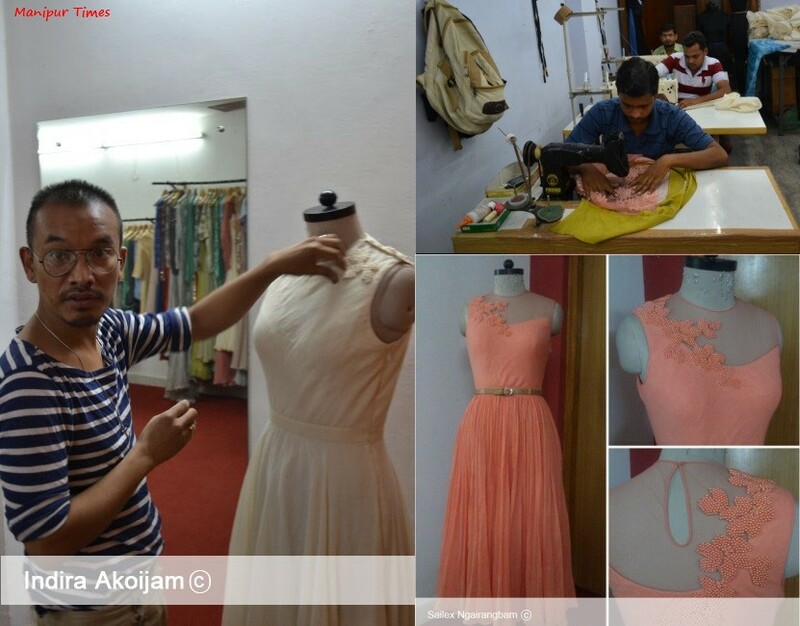 “It is heartening to see young artistes and designers from different part of the State participating in the show. 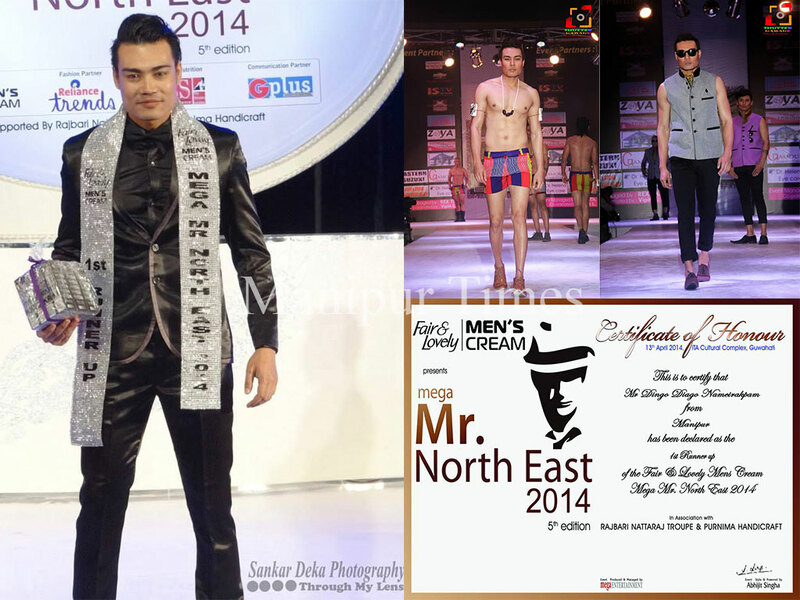 I am sure we as a whole can bring a drastic change regarding the fashion’s outlook in the entire north eastern States.”, he exuded while adding that one must take up Manipur’s fashion identity into a higher level as the State’s fashion elements comes in unique form. 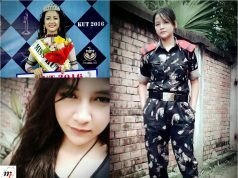 Buoyed by the success of the event as there was overwhelm public response, Robert Naorem is looking forward in organizing more fashion show in the State and for this he is expecting co-operation and valuable assistance from fashion lovers and general public in particular. Lin Laishram, Halley Laithangbam, Nirmal Kangjam etc are some of the acclaim models from the State who participate at the show. Adding more charm to the show, Bollywood’s well-known choreographer Achla Sachdev steals the show as a showstopper. Altogether a total of 30 models, 20 from local and 10 from outside States like Delhi, Bangalore, Mumbai, Hyderabad walked down the ramp producing an aesthetic glance worth to watch. Kingfisher calendar girl model Lin Laishram and Diana Erappa, the Miss Photogenic title holder of Miss Femina 2011, were the main enthralling models at the show. Different ethnic collections of State’s designers showcased at the show includes of Karan Thokchom, Ravikanta and Soni (Bridal collection) and Sunder (tribal collection), Ranjana Yumnam and Chuichui Ningshen. Notably, the grand finale part titled “Sandrenbi and Cheisra” where local’s fabric ‘Kumjingbi Phanek’ and ‘Wangkhei Phi’ clubbed together was prepared by Robert himself. “Sandrenbi and Cheisra” is based on a Manipuri folktale which literally means good-versus-evil. In this, his showstopper was dressed as Sandrembi, the good, while another model was dressed as Cheisra, the bad. Next articleMeet the Sculptors who carved the Cultural Integrity Pillars at Palace Compounds.